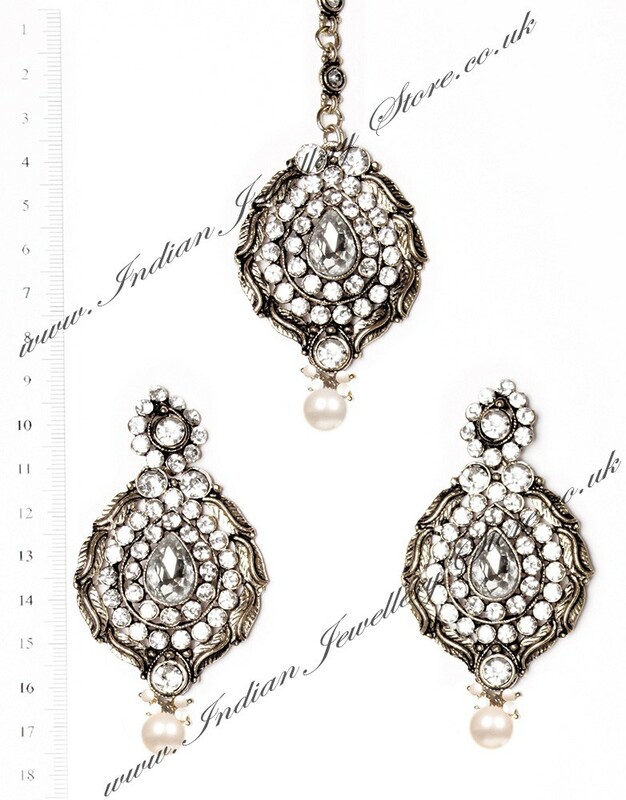 Indian jewellery set in antique silver (black antique) and clear white. Set with faux pearl and diamante stones. This set has stunning, rich looking coloured faux gems. Indian jewellery set in antique silver (black antique) and clear white. Set with faux pearl and diamante stones. Set includes: earrings and tikka This set has stunning, rich looking coloured faux gems. Other colours available. Scale shown in image is in cm.